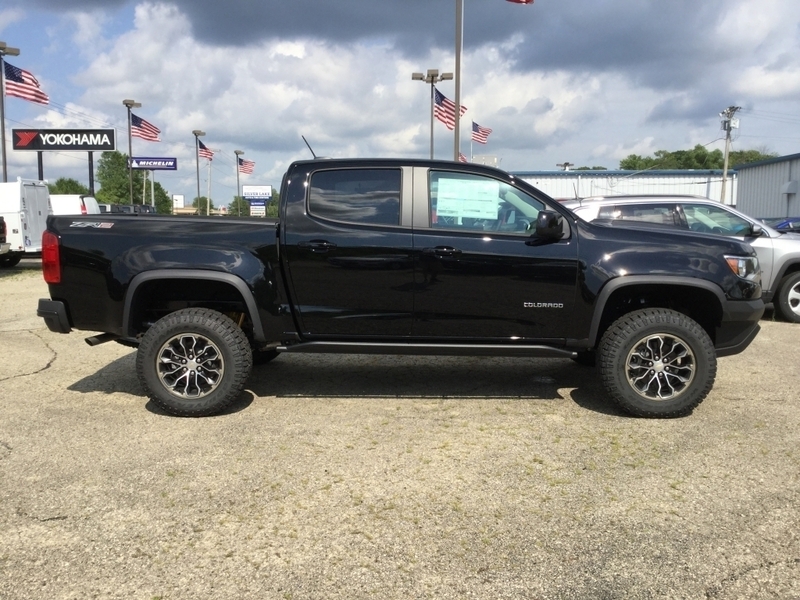 When you feel like you need to get out on the open roads of Wisconsin with an amazing Chevy truck, come in and check out the Chevy Colorado. Ewald’s Chevrolet dealership near Milwaukee has an incredible selection of new and used trucks for sale near Milwaukee. Including a wide range of new and used Chevy trucks for sale, like the Chevy Colorado at Ewald Chevrolet Buick. There are plenty of reasons why drivers enjoy getting out on the road in a used Chevy truck for sale in Milwaukee. New and used Chevy trucks for sale have plenty to offer you as you are traveling around. Ewald Chevrolet Buick offers drivers everywhere new and used Chevy trucks for sale, like the Chevrolet Colorado for sale. Making it easier than ever to find a used truck for sale that is right for your wants and needs! Our wide variety of new and used Chevy trucks for sale is sure to make it easier than ever for you to find the vehicle for sale that is right for your daily needs. We can also offer drivers from all around Milwaukee many affordable deals. So stop by Ewald Chevrolet Buick today and take a look at some of our used trucks for sale near Milwaukee WI today. Like a Chevy Colorado for sale. Whether you are looking for a new or used Chevy Colorado for sale, we have the deals for you when it comes to your next truck. This Chevy Colorado for sale is an excellent vehicle for sale for drivers that want a stylish truck that gets the job done. Like on the 2018 Chevrolet Colorado ZR2 4x4 truck for sale. This Chevy Colorado for sale has excellent performance for you to enjoy while out on the wide open roads Wisconsin. There is still more to check out and enjoy! Like a variety of great features and options. Such as remote start, WiFi capabilities, and a rear back-up camera. This Chevy Colorado for sale has so much more to offer you. Giving you all the more reason to stop by today and take it for a spin down the streets of Milwaukee. Come over to Ewald Chevrolet Buick today. Check out the Chevy Colorado truck for sale today! For a closer look at this fantastic Chevy Colorado for sale merely stop by Ewald Chevrolet Buick. We are located at 36833 E Wisconsin Ave Oconomowoc, WI 53066. The best deals for new and used trucks for sale in Milwaukee are always found when you choose the best dealer. Ewald Chevrolet Buick is the Chevy dealership for you. With an incredible team of employees ready to help, you will not go wrong finding the quality used truck you want all within your price range. You can check out our vast selection of new and used trucks for sale in Milwaukee in person or online. Don't hesitate, give us a try at Ewald Chevrolet Buick today. You will be glad that you did.